Hard to believe paradise in Huntersville! 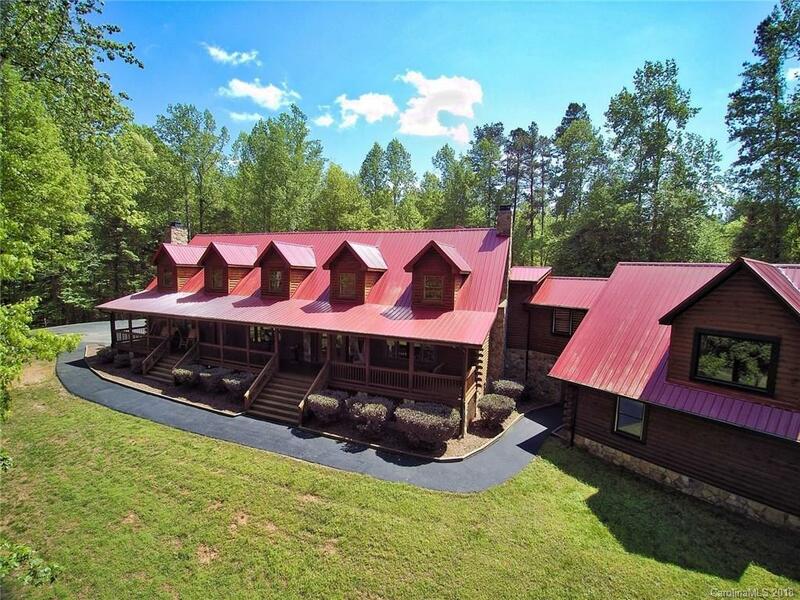 Unique log cabin home with master suite on main level, 4 bedrooms up plus 2 more bedrooms in adjoining apartment over garage. Recent kitchen update with custom cabinetry, Viking appliances, GE wine cooler and island a true gourmet chef's delight. 110 inch drop down media room screen in Great Room with fireplace; Sunroom with kitchenette & half bath opens to large patio with inground pool with waterfall and hot tub; upper terrace overlooks pool area and trees. Good privacy as this home has its own winding road from the main road. Master suite has 2 fireplaces, dressing area, walk-in closet. Garage apartment is fully equipped with kitchen and living room with fireplace. Second laundry room in garage. Laundry connection is also available on main level in kitchen.